Where does your family eat? At the kitchen table? In front of the TV? At a Fast Food restaurant? In the car? Our eating patterns play a role not only in what we eat, when we eat, and the quality of the food, but in how much we consume. In fact, where we eat may be making our kids fat. As Parents, we provide our children with their earliest food experiences and eating schedules. 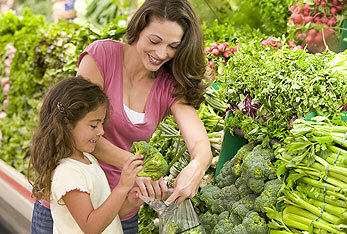 We play a direct role in our children's eating patterns through our own behaviors, attitudes, and feeding styles. We determine when, what and where our children eat. Recent research suggest that children develop the same eating behaviors as their parents. This is of special concern to children with overweight parents. The study indicates that children of overweight parents often become overweight themselves by developing the same poor eating behaviors as their parents. This can be turned around as a family. 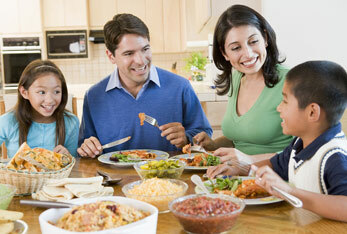 Through learning how to eat in a healthy way and with exercise, an over-weight family can turn things around.